Mechanical facet joint pain describes symptoms that are caused by arthritic osteophytes interfering with normal movement of the joint components. Facet joints are designed to move in order to allow the vertebral bones to enjoy an extensive, but regulated range of motion. When particular processes occur in the zygapophyseal joints, normal mobility might become painful or even impossible. This is the definition of mechanical back or neck pain. Mechanical pain is one of the 2 possible symptomatic mechanisms involved in facet joint syndrome, along with neurological compression. Mechanical pain is certainly the most common causative process for facet joint pain and the one most often treated through various approaches to care. This dialog explores the existence of mechanical joint pain in the spine, with special focus paid to the facet joints. We will explain why mechanical pain occurs and how it can be managed using a variety of modalities. The facet joints are comprised of overlapping articular processes from neighboring vertebrae. The inferior articular process of the higher vertebra extends downward to meet the superior articular process of the lower vertebral bone. Where these 2 processes come together is the facet joint. The surfaces of the facet joint are covered in cartilage, which protects the bones from friction and damage when interacting. The joint is sealed in a capsule of soft tissue that contains synovial fluid. This liquid lubricates the joint for smooth functionality and also acts as a protective barrier against injury. We have already discussed facet joint degeneration and the causes of facet syndrome and suggest that you review these sections if you have any questions as to why the protective measures of the zygapophyseal joints break down. When the synovial fluid dries up, and the cartilage deteriorates, the superior and inferior articular processes will interact directly. The result will cause arthritic accumulations to occur on the bone surfaces. These skeletal outcroppings are called osteophytes or bone spurs. Bone spurs are usually harmless and not painful to any significant degree. However, in select circumstances, they can form in the direct path of joint movement, creating physical obstacles to normal range of motion. Mechanical joint pain is a direct result of this occurrence. The spur might be very painful as the other surface of the joint interacts with it over and over again. The osteophyte is a literal obstacle in the path of the moving joint parts and will suffer related trauma. While this might be painful, the processes of continual injury can actually wear down many bone spurs to an asymptomatic level with time. It will be a painful process, but the symptoms might resolve organically. If this scenario is suspected, physical therapists might actually encourage joint mobilization exercises to help speed the process along. However, not all osteophytes will wear down with continued trauma. Some will grow and escalate in symptomatic activity. There is no way to predict how an osteophyte will progress, but the condition can be monitored regularly using specialized x-rays at minimal cost. Bone spurs that grow quite large, or multiple bone spurs concentrated in a particular area, can prevent normal joint movement altogether. In these cases, the facet joint will not be able to function as designed. The patient will suffer a decrease in range of motion, as well as considerable pain upon attempting to mobilize the joint. In many patients, continued dysfunction of the apophyseal joint will result in shrinkage of the joint capsule and the commencement of a hypomobile state. In essence, the joint will be physically capable of moving less and less, until it locks up. Treatment for mechanical types of zygapophyseal joint pain can be symptom-targeting or curative in practice. Symptomatic methods of care seek to provide humanitarian pain relief using a wide range of possible methods. Symptomatic care is usually noninvasive or minimally invasive, but will never provide lasting relief. In most cases, symptom-based care will not even provide adequate degrees of relief for severe cases of mechanically-enacted facet syndrome. 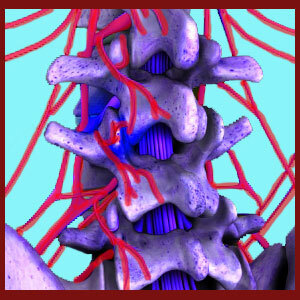 Curative care for osteophyte-driven mechanical back or neck pain must usually be surgical. Physicians will seek to resolve the pain by removing the offending bone spurring from the joint, thereby allowing the joint to return to normal functionality after recovery and possible rehabilitative physical therapy. We detail the full range of therapy options in our resource section titled facet joint pain treatment. However, before deciding on the best course of treatment, we suggest that you research facet joint instability, since many cases of mechanical pain will result in an unstable anatomical structure and unpredictable functionality. These circumstances should be addressed by particular care practices for best treatment outcomes.